and i had so many ideas for my first post but… T___T i dunno i forgot it all Yukirin will be sad about this post because he was sooooo looking forward to this post. So how do I start…..
Well like I said, my nickname is tower…. I chose that name because I’m very tall (190cm) and because I couldn’t think of anything on the spot…. When I first joining aidol it was a first experience for me ^^ meeting other g48 fan . Just to realize how I know only a little about idol, they open my eyes with many thing. For this past few month I am with aidol everyone nice to me ^^ I am happy with that they help me translating pv and some vid that I want to understand . Past sunday (22 Sept) on Facebook, we held a short Q&A Corner and I figured I would sum up the questions and answers here! Along with some questions answered in the few days that I haven’t been able to put this together (lol). If you have any questions, feel free to message us any time! Hey everyone, I’m Ricky and have been a qc here at Aidol since the last few months of 2011… it’s been so long I can’t even remember. I haven’t really written on a blog before so it might be boring, but even if you hate my blog post, don’t hate Aidol. Anyway, since this is the first blog post and I haven’t really interacted with our followers I’ll start by introducing myself. As mentioned above my name is Ricky, and it’s not short for Ricardo or anything, just Ricky. I have a chinese background and can speak a bit of canto and mando, but to be honest, I choose not to speak it unless I absolutely have to (Tehepero ;p). I also know a little Japanese since I learnt it during high school. Currently, I’m living in Australia but one day hope to move to Japan so I can be closer to my idols =D. We’ve stopped doing this just weekly, so when someone will post will from now on be unpredictable!? Days, minutes, hours, years… okay, that last one isn’t so likely! Born in the Netherlands, actually still living there even..! Tomotsu here! 2*coughthreecough* years old and one of the translators. Also a dancer, (self-proclaimed) singer and a lot of other things I enjoy doing~! That said, it’s really just between the girl that has brought me to AKB. And the former Team B captain that’s always been watching over her. Yes, I’m talking about these two. 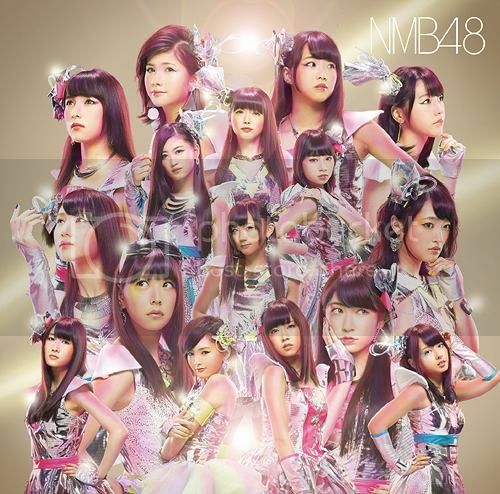 The 33rd single has been revealed! Heart Ereki! With a surprising Kojipa “Michelle” as center! Their new names are pretty surprising, I actually like them though! I’m sure you’re already updated by now, but Jurina has become center! Without MaYuki, Jurina was the girl I was rooting for so I’m very excited! This is probably the least interesting part, but! How did I get into AIDOL? I’ve been learning Japanese for several years already, and repeatedly a friend gave me links of Shoujiki Shougi. Then one day, I was given a playlist with all of the subbed AKBingo episodes and even got my otouto (younger brother) in it! But my otouto barely speaks Japanese right now, and when you’re really into something together you want them to enjoy everything too right? So for that reason, I decided I would sub the unsubbed eps by myself. But it was so much work by myself! Like, amazingly so. And then I came across it, a post on AIDOL saying they still could use more Translators. It’s probably getting long now, so I’ll stop here, haha! Remember, if you have any questions about any of us, always feel free to ask! It helps us think of topics too! My Kami oshi is Matsui Rena and I love SKE! SKE SAIKYO! I started getting in the Idol fandom quite late about end of 2012. I knew AKB before but wasn’t interested till I came across some JDramas. Came across Saba doru (staring Mayuyu as herself). I went to research who is she which lead me to Majisuka Gakuen. From there Matsui Rena who played Gekikara caught my eye. When to researched about her and here character was sooooo different! It’s something about her that caught my heart. Then from there I jumped into the 48group bandwagon. I’ve made new friends, have a good laugh and of course to share the fandom of some Idols. Been timing some episodes of AKBingo and will time some SKE episodes that we proposed in the event. We will bring you much SKE love. There will be more SKE shows coming your way! About the promo videos, Thank you every one for supporting us and I hope those videos was able to hype you guys up! It was addictive and at the same time fun to make those videos for the event. (I cant stop watching my own videos at first too, lol). I’m still learning After Effects for more video effects so that I can bring great videos to you guys if we ever announce anything. I guess that’s all from me for now. Next blog update would be someone else. Not sure who but stay tuned! Yeah.. where was I? Oh right. SKE won the AIDOL Team battle. That was such fun participating in it. Even though HKT lost, I have Oshimens in every group anyway so it’s really a win-win situation regardless who wins for me. XD These three months are gonna be great for SKE fans and also for SKE48 because like I said in my first appeal post, a subbed video can help spread a group’s name. I bet most of you here are in the fandom because you watch a subbed video. I know I did. I still remember my very first idol video. It was October 2005, I was still a freshman in college and one of my seniors showed me this video. So that was my beginning. My first experience with female idols. Even after 8 years, I’m still watching idol videos. I don’t know when I’ll quit watching but right now I’m having the time of my life and I don’t plan to stop anytime soon. The next blog post will probably be from the lovely Kiyoko-chan, our resident timer and video editor. But before I end this post, what was your first idol video? What was the first thing that introduced you to idols? And most importantly, was it subbed?